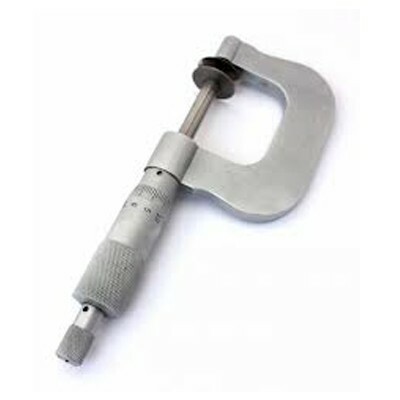 India Tools & Instruments Co. is one of the famous Micrometer Manufacturers, suppliers and exporters from Mumbai. Our products are used for measuring instruments and provide accurate readings. Its interface is easy and half the burden of the users. Operating and maintaining it is easy, which make it an ideal option to invest in. The use of the latest technologies and modern strategies help us assure the exceptional performance of our instruments. We guarantee their best quality because they are made with only the finest raw material and get tested on several quality parameters before reaching the final customers. We are a prominent Micrometers manufacturer, supplier and exporter from India. If you are interested in our product, feel free to send your enquiry. We are engaged in offering our products all over India including Delhi, Thane, Lucknow, Punjab, Jaipur, Agra, Shimla, Nagpur, Bhopal, Hyderabad, Navi Mumbai, Gujarat, Rajasthan, Surat, Kerala, etc. and in the international market as well.